This is the week when Americans deck themselves in green and hang shamrock wreaths from their doors, even if they can't claim any Irish ancestors. My green photo has a southwestern origin. Saguaro cacti are the ones that look a bit like people, with arms upheld in a perennial salute. In desert areas, they are a welcome bit of green. 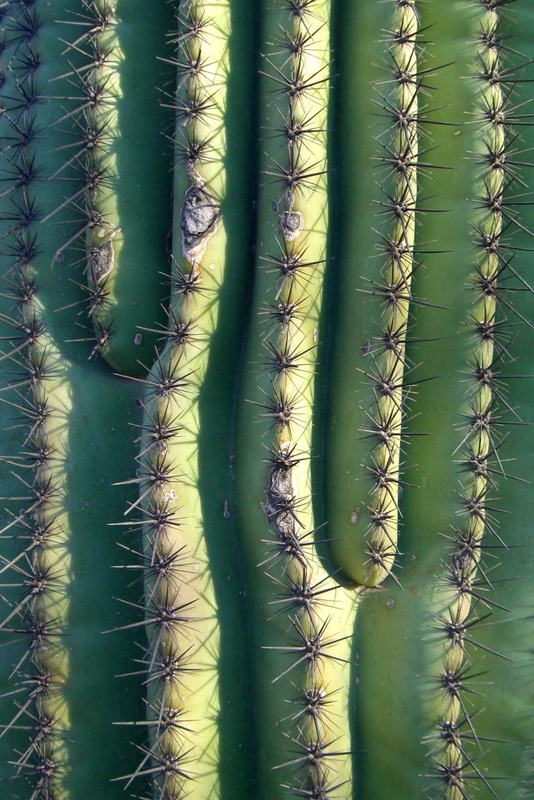 Their spiny ridges curve in graceful lines, each cactus slowly forming its own unique patterns as it grows. These shapes remind me of rippling water or melting icicles, an irony, considering their hot, arid homes.